The term 'Intellectual Property' is sometimes used synonymously with the term 'Industrial Property'. But what do these mean? What really is intellectual or industrial property? IP Australia (representing the Australian Patent Office, the Australian Trade Marks Office, the Australian Designs Office and the Australian Plant Breeder's Rights Office) says: "Intellectual Property represents the property of your mind or intellect. In business terms, this means your proprietary knowledge." Patents, trade marks and designs are the main intellectual property rights. Other intellectual property rights are copyright, circuit layouts and plant variety rights. In recent times, the protection of geographical indications that indicate the geographic origin of goods such as wine has also become significant. Other intellectual property rights may be protected at common law or in equity. For example, goodwill or commercial reputation that is attached to a mark, name or get up may be protected through the common law actions of passing off and injurious falsehood; while trade secrets and confidential information may be protected by the equitable action for breach of confidence. The role of a patent attorney and a trade marks attorney lies primarily in the registrable intellectual property rights of patents, trade marks and industrial designs. A patent is a monopoly which is granted for up to 20 years in respect of an invention. 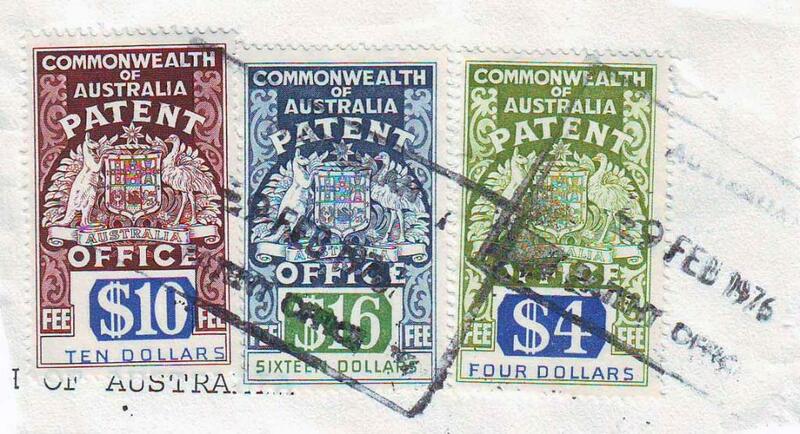 The patent system rewards owners of inventions by providing them with an exclusive right to exploit the invention in Australia whilst the patent remains in force. In return, the owner is obliged to disclose details of the invention in the form of a detailed patent specification, thus enabling anyone to use the technology once the patent expires. A patent is granted to the owner of the invention who must be either the inventor, the inventor's employer, or someone else deriving title from the inventor. Although a patent gives the patent owner the right to exclude others from exploiting the invention, the grant of a patent does not necessarily mean that the owner is free to exploit the invention. The owner of a patent must ensure that exploitation of the patented invention complies with all applicable laws and regulations, and does not infringe the patent rights of others. 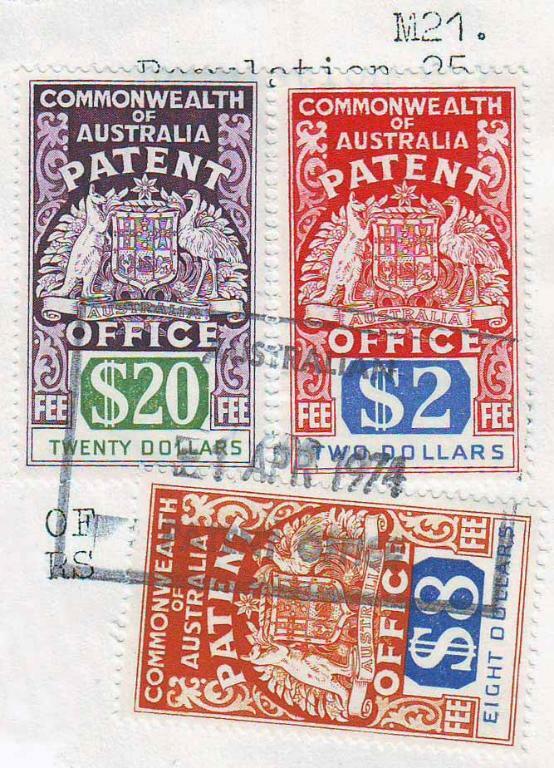 [2 & 4] Patent fee stamps were introduced for the payment of fees under the Patents, Trade Marks, Designs and copyright Acts by the former Commissioner of patents Mr. H. R. Wilmot in 1953. 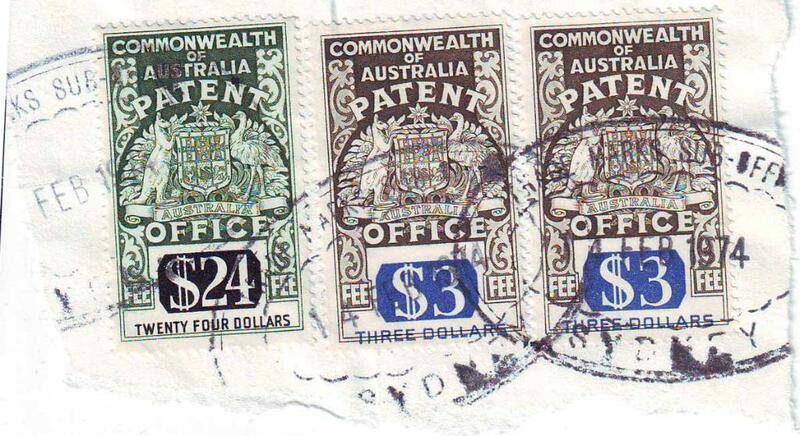 No Act or regulation specifically authorises these stamps. 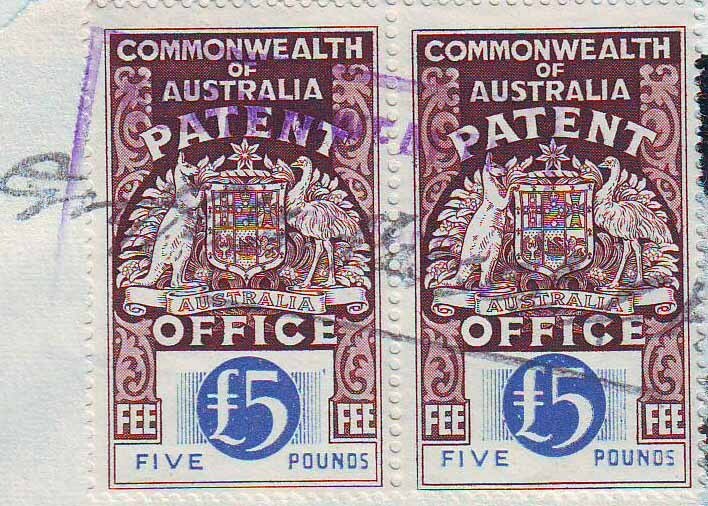 However, Regulation 5 [No 2] of the Patents Regulations provides “payment of fees should be made at the patent office by such means, and in such manner, as the Commissioner directs”. 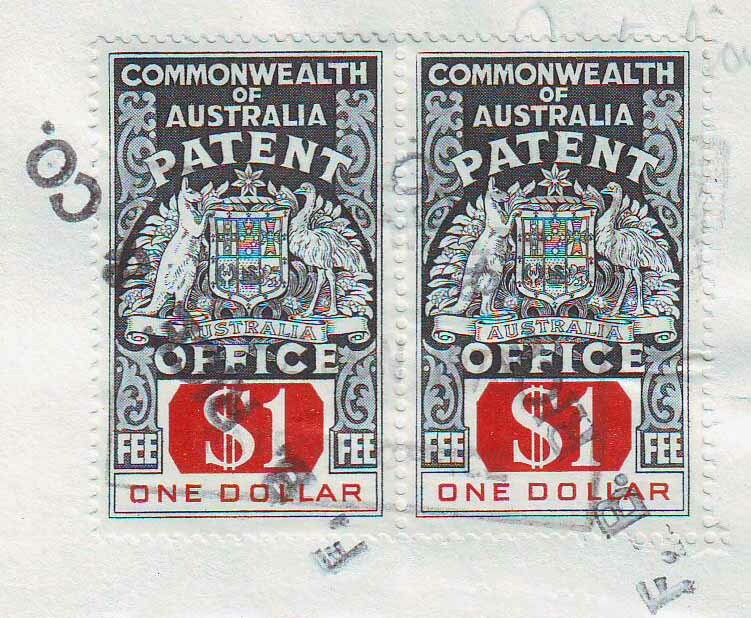 The Trade Mark Regulations and Design Regulations have similar provisions and the commissioner directed that certain fees must be paid by means of Patent Office Fee Stamps. 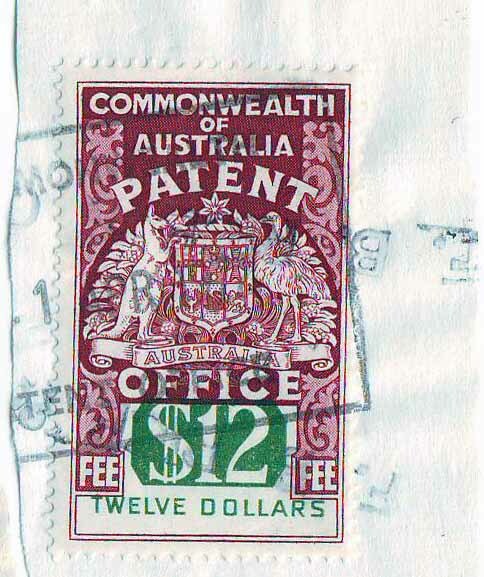 The system of fee stamps was introduced by prior agreement with the Audit Office and the [then] Department of the Treasury. 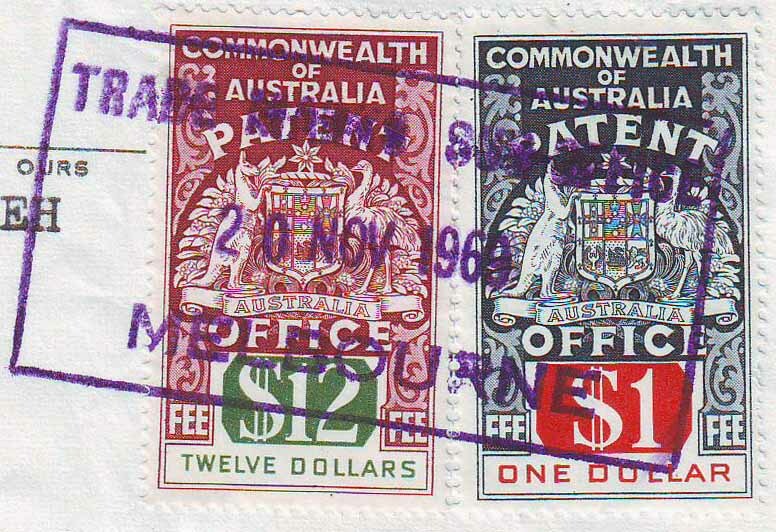 These stamps are printed by the Note Printing Branch and are required to be dealt with as “accountable forms”. The stamps were sold across the counter. 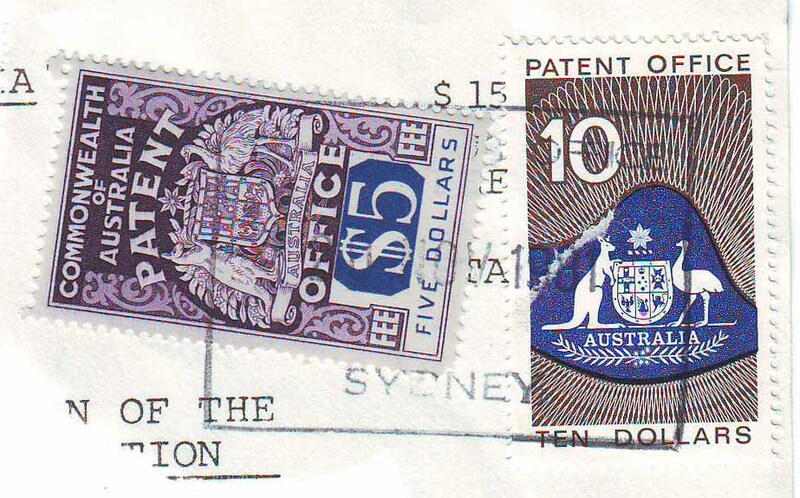 Stocks of stamps were kept by patent attorneys in appropriate denominations and were affixed to applications and cancelled by date stamp. 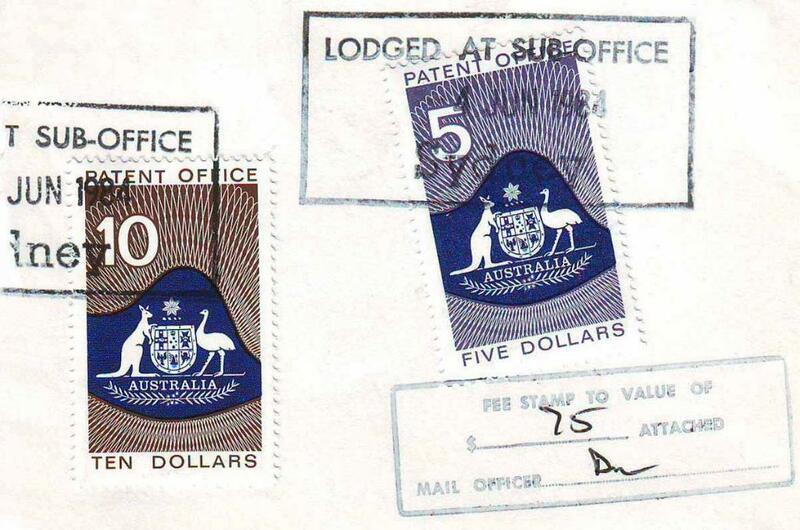 Commencing about 1962, from time to time thereafter the Institute of Patent Attorneys has contended that the use of these stamps is onerous, expensive and risky and should be abandoned. The argument runs that loss or destruction of a stamp may mean permanent loss of money, while loss or destruction of a cheque does not. 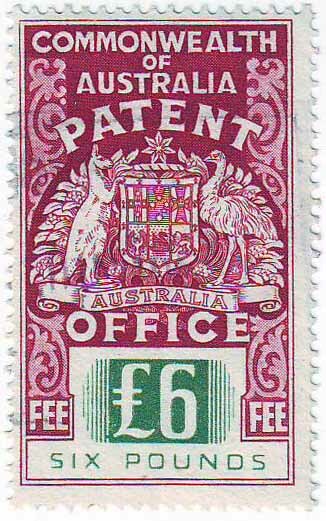 However, the system of payment by stamps had many advantages for the Patent Office. Printed in sheets of 60 [12 x 5]. First colour given is that of the denomination. The second colour is that of the key plate design. 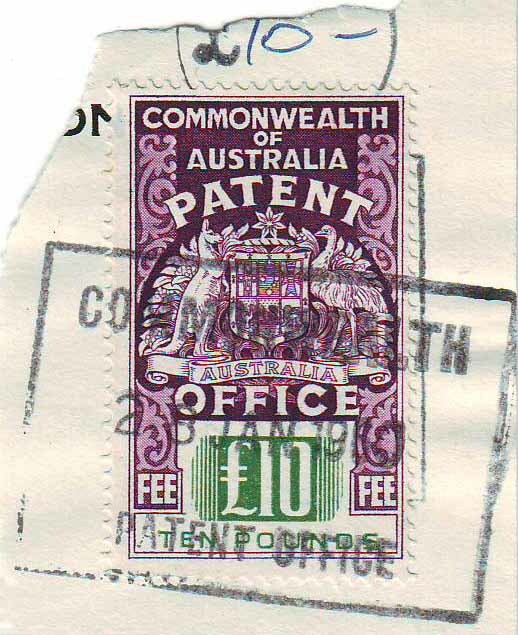 Watermarked Crown C of A multiple [SG 15]. Perforation 14x14½ Comb. Printed in sheets of 60 [12 x 5]. 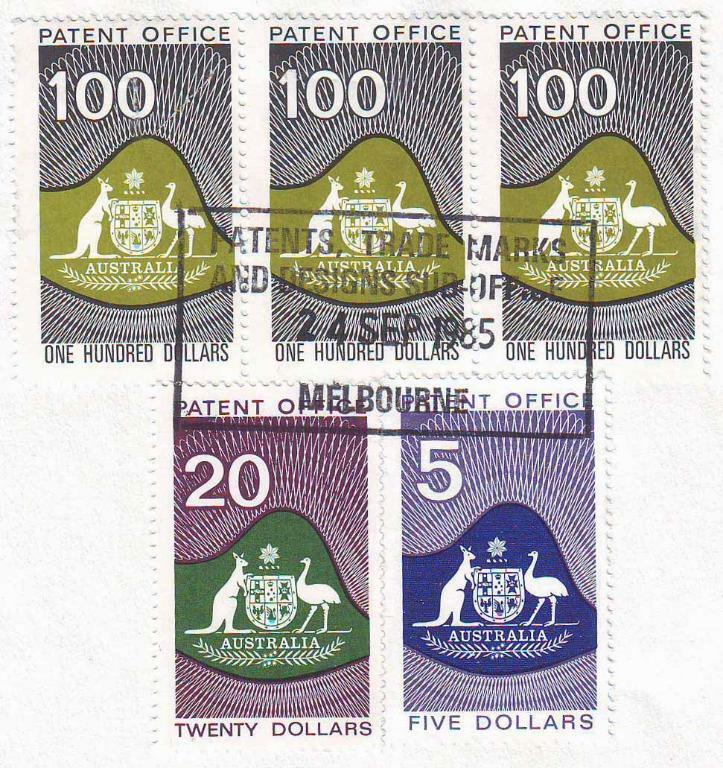 1976c sheet reduced to 50 [10 x 5] no imprint. Watermarked Crown C of A multiple [SG 15]. Perforation 14 x 14½ Comb. 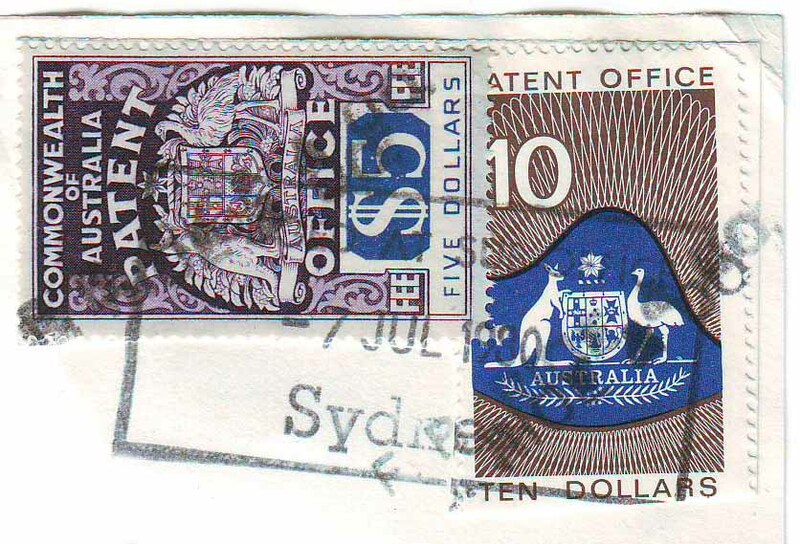 Printed on very thin paper, so thin that you can see the design clearly through the back of the stamp. Unwatermarked. Perforation 14 x 14½ comb. 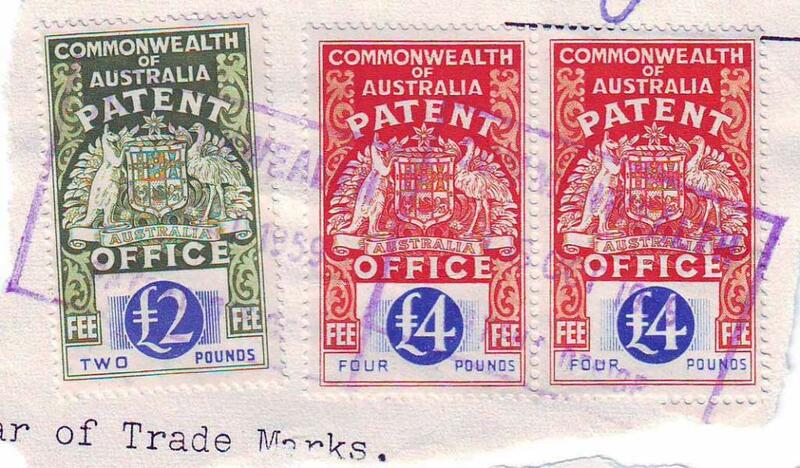 I have not seen any unwatermarked stamps. Printed in sheets or 50 [10 x 5] Unwatermarked, no imprint. Perforation 14 x 14½ comb. 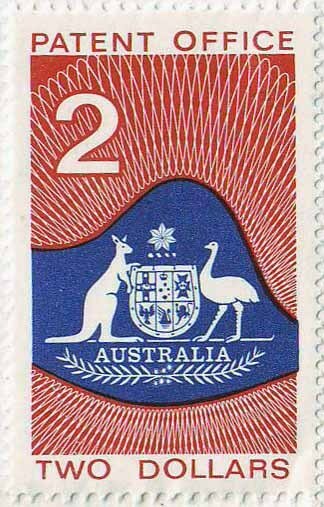 The first colour given is that the centre of the stamp, the second colour is the colour of the outer frame and value. In this 1978 issue I have found both thick unwatermarked white and cream papers. I have seen/recorded the $1.00 $2.00 and $50.00 on thick cream paper. I have seen/recorded the $5.00 $10.00 $20.00 $40.00 $50.00 and $100 on thick white paper. Printed in sheets or 50 [10 x 5] Unwatermarked, no imprint. Perforation 13¾ x 14½ comb. 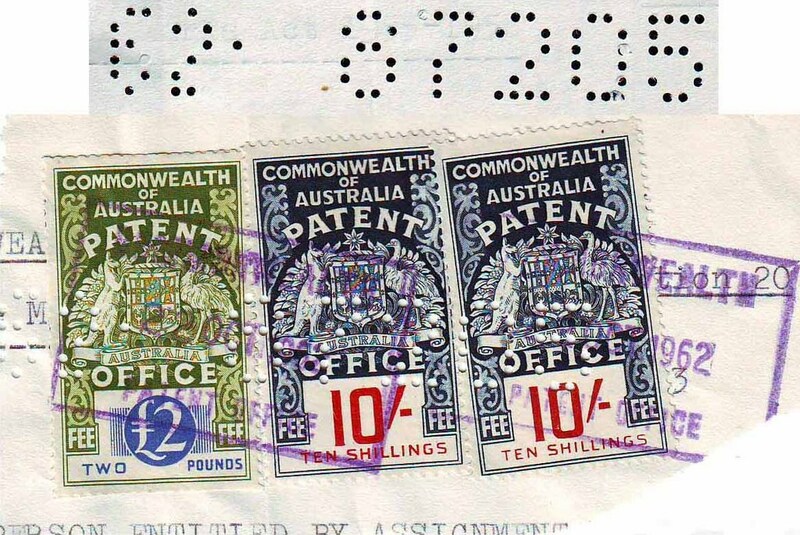 Ok that's the stamps out of the way, we can now start on the recorded cancels used in the Commonwealth Patent Office at Canberra and Sub Offices in Melbourne and Sydney. I am yet to see any dated cancels from Queensland, Western Australia, Tasmania, Northern Territory and South Australia. But first some more info on how the Patent system works. 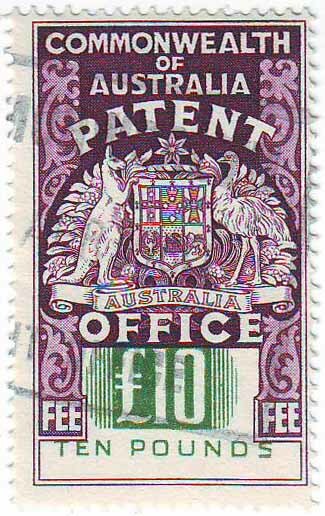 The first step in obtaining a patent in Australia frequently involves filing a provisional specification at the Patent Office. The provisional specification is a written description of the invention, and filing it establishes a "priority" date for the invention described. The priority date is the date at which the newness of the invention will be assessed. The filed application will have priority over later-filed applications or published documents, and any patent eventually granted will not be damaged by them. After the provisional has been filed the invention described may be freely used. However, the specification is kept secret by the Patent Office, and the only information published by the Patent Office at this stage is the title, the applicant's name, the application date and the provisional number. Within one year of filing the provisional a complete specification must be filed in order to maintain the priority date. The complete specification is based on the provisional specification but includes details of any modifications, developments and improvements to the invention. The complete specification includes a set of "claims" defining the scope of the protection sought for the invention. The monopoly granted under the patent will be determined by the wording of the claims. Once a complete specification has been filed no new matter may be added to the specification. A patent application number is allotted by the Patent Office at this stage, and full details of the provisional and the complete specifications will be published by the Patent Office 18 months after the priority date. Damages may be assessed retrospectively to the date of publication in any successful infringement action which is brought after the patent is granted. The Patent Office usually directs examination to be requested about one year after the complete specification is filed. During examination a patent examiner will conduct a brief search for earlier published documents to establish whether or not the invention is new. An official report is then issued containing details of the search and any other objections raised by the examiner. Provided the invention is new the objections can usually be readily overcome by proposing amendments to the specification or presenting counter-arguments, or both. Once the objections have been overcome, the application is accepted. Acceptance is advertised to allow interested third parties to oppose the application. 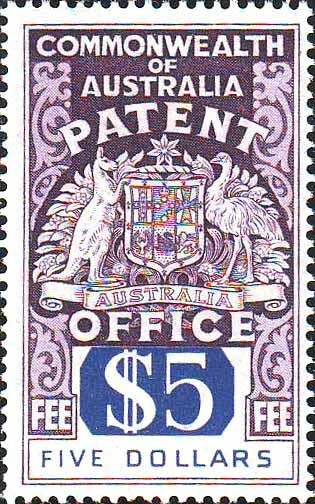 If there is no opposition, or an opposition is unsuccessful, the patent is sealed and a deed of letters patent issues a few months later. The application becomes a patent at sealing. 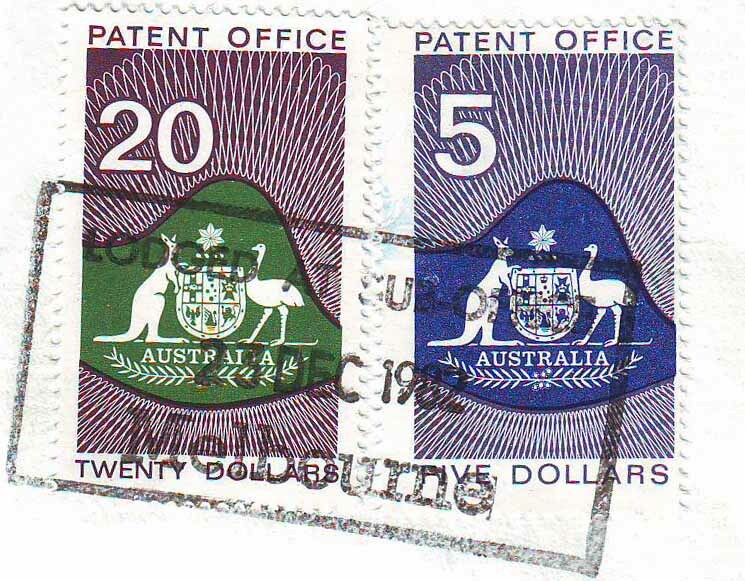 The maximum duration of a patent is 20 years from the filing date of the complete specification. Renewal fees for maintaining the application and patent in force must be paid every year starting from the fifth anniversary of the filing of the complete specification. If you instruct us to prepare and file a patent application for you, we will send you timely reminders at every stage of the procedure outlined above, together with our commentary and; if appropriate, our recommendations. What is a micro-organism deposit? A "micro-organism deposit" is a deposit of biological material with a recognised international depositary such as the American Type Culture Collection (ATCC). The term "micro-organism" is used loosely to refer to a variety of biological materials including eukaryotic cell lines, such as hybridomas, fungi, yeasts, protozoa, bacteria and viruses as well as host cells containing genetic material such as plasmids and other vectors. Innovation patents are intended to provide protection for simple technical advances that are not sufficiently inventive to meet the "inventive step" requirement for standard patents. The innovation patent has a lower threshold called an "innovative step" which requires that the advance claimed differs from the prior art so as to "substantially contribute to the working". There is no non-obvious requirement. The invention must also satisfy the criteria that it is new, useful and a manner of manufacture. The innovation patent system is designed to suit small to medium sized enterprises and individuals. They are intended to provide an industrial property right that is quick and easy to obtain and suited to inventions with a short commercial life. Obtaining an innovation patent is less costly as it is not examined for substantive issues like novelty and inventive step before grant. It only goes through a formalities check which is used to make sure that all the necessary documents have been provided and that the application is not in respect of humans, plant or animals, or biological processes. 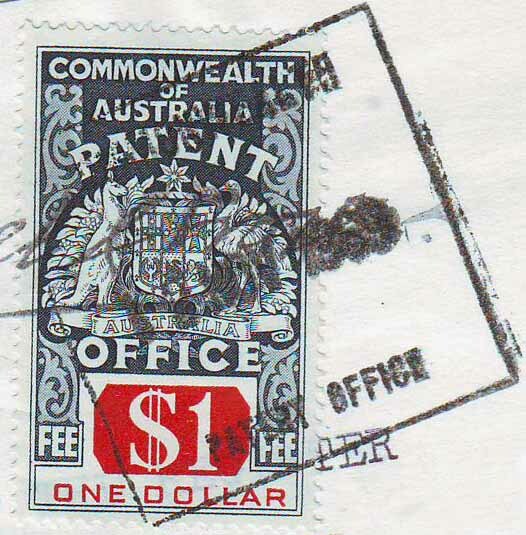 There is no check by the Patent Office before grant as to whether the patent is valid. This may make the value of an innovation patent more difficult to evaluate until it has undergone substantial examination. This form of examination is not automatic. A request for substantial examination can be made at any time by the applicant or a third party. If examination is successful the innovation patent is "certified" by the patent Office. Once the innovation patent is certified, the patentee has the right to enforce the patent in the same way as a standard patent. Cancelled by Patent and Trade Mark Attorney, Unknown name. FB Rice & Co has been focused on IP services for more than 50 years - protecting IP is their business, so their knowledge and expertise is at the forefront of the market. Their attorneys offer a full range of Patent and Trade Mark attorney services and provide advice and guidance through the complexities of protection and enforcement with a commercial and pragmatic approach. From individual inventors to Australian and international corporations, universities and research institutes. 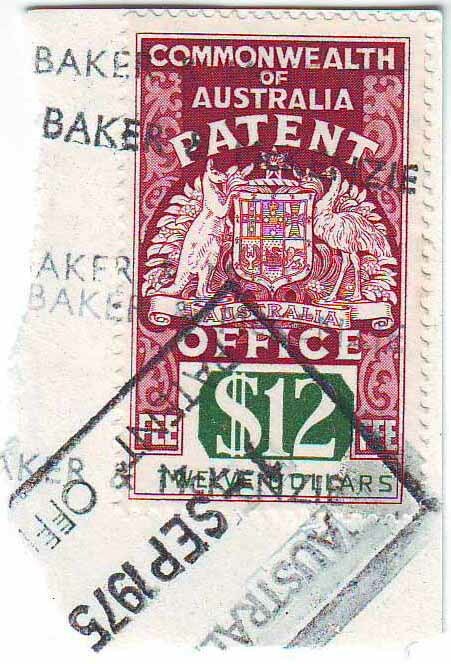 Cancelled by Patent and Trade Mark Attorneys, Baker & McKenzie. Cancelled by Patent and Trade Mark Attorney, F. B. 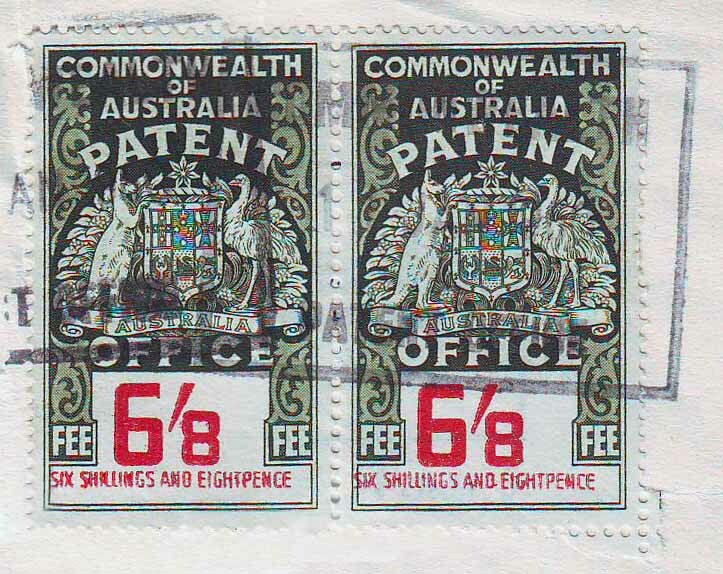 Rice & Co.
Lower 'FEE STAMP TO VALUE OF' box 51mm x 11mm, reads $75 obviously a $50 is missing from this cut out. Current legislation defines a "trade mark" as a sign used or intended to be used, to distinguish goods or services dealt with or provided in the course of trade. A "sign" is defined as including any letter, word, name, signature, numeral, device, brand, heading, label, ticket, aspect of packaging, shape, colour, sound or scent or any combination of the foregoing. An application for registration of a trade mark will be rejected if the trade mark is not capable of distinguishing the applicant's goods and/or services from those of other traders. Trade marks that are not inherently adapted to distinguish are mostly trade marks that consist wholly of a common sign that is ordinarily used to indicate the kind, quality, quantity, intended purpose, value, geographical origin, or some other characteristic of the goods or services. 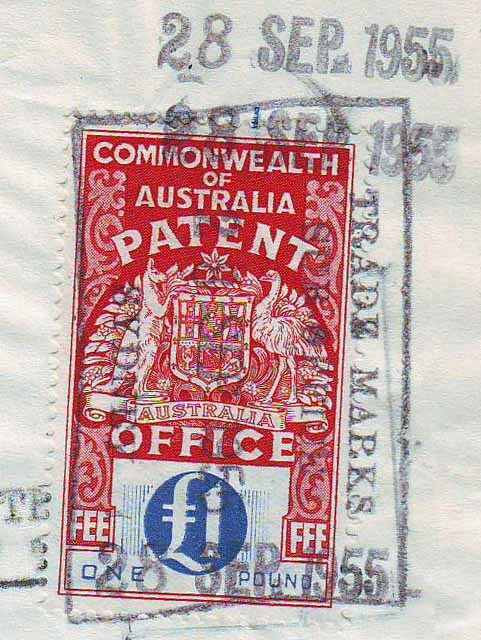 Evidence of the extent to which the applicant has used the mark establishing that the mark is in fact distinctive of goods or services may overcome the objection. A trade mark is registered in connection with goods or services, or both. A statement must recite a specific list of goods/services and an objection will be raised if the Registrar believes the statement of goods/services is too broad. Under the new Act, a design will be registrable if the design is new and distinctive when compared with the prior art base. 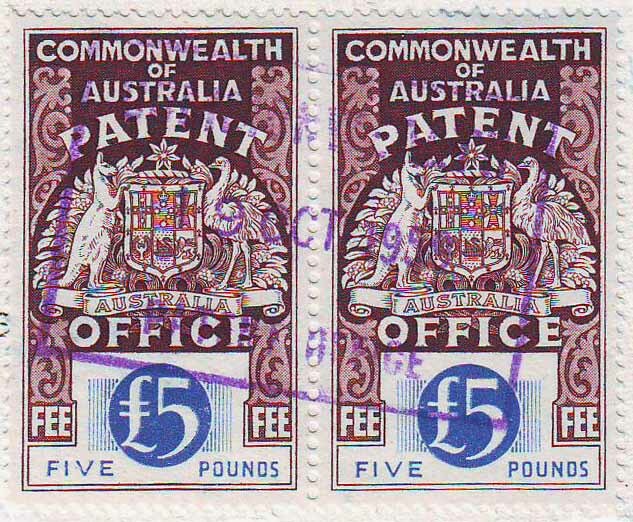 The prior art base includes designs publicly used in Australia, designs which have been published in a document either in Australia or elsewhere, and designs which have been disclosed in earlier design applications. OK over to you the reader, can you add any information to this page? if so please let Dave know.